Equifax describes itself as, “a global information solutions company, that uses trusted unique data, innovative analytics, technology and industry expertise to power organizations and individuals around the world by transforming knowledge into insights that help make more informed business and personal decisions”. Lots of pretty words written by and for a major Global Corporation. It goes on to say that their company, “organizes, assimilates and analyzes data on more than 820 million consumers and more than 91 million businesses worldwide, and its database includes employee data contributed from more than 7,100 employers”. Quite an impressive statement from a Corporation that has let Cyber Criminals enter their website and achieve access to the Credit Files and Personal Information of over 145 million American citizens and over 100,000 Canadians. Headquartered in Atlanta, Ga., Equifax operates or has investments in 24 countries in North America, Central and South America, Europe, and the Asia Pacific region. It is a member of Standard & Poor’s (S&P) 500® Index, and its common stock is traded on the New York Stock Exchange (NYSE) under the symbol EFX. Equifax employs approximately 9,900 employees worldwide. 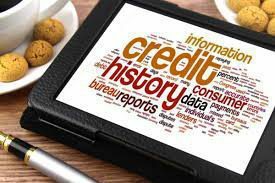 Unless you live under a rock, in the middle of the Evergreen Forest, you should have heard about the massive leak of Credit File and Personal Information which occurred at Equifax earlier this year. An incredible number of Americans, over 145 million, and over 100,000 Canadians have had their Credit Files and Personal Information compromised! … excuse me, I mean STOLEN! Not very impressive from the Corporation that captures your information WITHOUT your consent and then CHARGES you a fee to let you look at it. Upon further review into this story, I am convinced that there is NO GOOD in this story. The Chief Financial Officer and 2 other company executives did sell a large amount of their stock, almost 2 million dollars worth, of their company only days after this Data Breach was revealed to the public. This is Insider Trading and Criminal. They were firstly dumping their stock … Too Bad for YOU, Joe Public … but they also displayed a complete lack of loyalty to their shareholders. I know that it feels very reassuring when you walk into a bank, credit union, or other such financial establishments with a Credit Score in the high 800’s or a similar FICO Score if you are an American citizen. Equifax does offer a 1-year FREE credit monitoring plan IF you are one of these 100,000 affected Canadians, however, be very careful here, as you may be dealing with a sophisticated group of Criminals. In the American version and perhaps Internationally as well, when you agree to their Credit Protection Plan, you may be voiding your right to sue this Criminal Organization. Equifax Complete™ Premier Plan is the plan offered. You must contact them by phone, fax, email, or post as they have SHUT-DOWN their website. Why did Equifax take so long to notify its customers? Why did three (?) top executives sell almost 2 million dollars worth of stock only days after the Cyber Security Breach? Why did Equifax report only 8,000 Canadians affected and have now changed the number to 100,000 customers? As the American example has shown, this number is very likely to increase in Canada as well. Is anyone at Equifax watching the Store? Can these people really be trusted with OUR Personal Information in this day and age? Even as Equifax is offering you free Credit File protection for a year, they have included in their fine print, a clause that would prevent you from suing Equifax, if you agree to this free 1-year Plan. This is being aggressively pursued by all Senate Republicans and the Trump Administration. Their intention is ti REMOVE this clause and render it ILLEGAL. Here is a list of the Stolen/Compromised Information if you are one of these 100,000 affected Canadians. Secret Question/Secret Answer … which we believe are several years old and were login credentials for use of our direct-to-consumer internet website. There is so much Bad in this story, that it will require a completely separate blog to list it all. More on this story to follow. This Cyber Security Breach has affected similar information with the American and United Kingdom population. This company stores information on 820 million customers and 91 million businesses Worldwide. Does Every Banker and Bank on the Planet need to know the story of MY LIFE so that a small Credit Union in my village can lend me a few hundred dollars to purchase a lawnmower or a car? A close personal friend has received this “letter of doom” by Canada Post and since over 100,000 Canadians and over 145 million Americans are also victims, it’s entirely possible that YOU and I could be receiving this Letter of Doom as well. What can you do to protect your Credit File and Personal Information? Immediately, get in touch with all 3 Credit Bureaus, in your country of origin, and have a Fraud Alert imposed on your Credit File and Personal Information File. The Experian website states that Experian is no longer monitoring Canadian Consumers and that they have deleted all Canadian Consumer Files. This leaves us with Transunion if you are a Canadian citizen. If you are an affected Canadian you get FREE credit monitoring from Equifax, for a year. I can’t see anyone, in their right mind, that could trust Equifax after this incident! I was especially interested in acquiring Experian Protection since they offer “Dark Web” monitoring. Unfortunately, Experian no longer maintains files on Canadian Customers. It seems that they have enough workload with the American crisis on their hands now. There is so much Bad News in this story that it will require a completely separate blog. If you retain only ONE THING from this blog, … it should be this. YOUR PERSONAL IDENTITY INFORMATION AND CREDIT FILE MAY HAVE BEEN STOLEN. Please take a few minutes to listen and view the damage done in the included video. There are many on YouTube and shorter and longer versions are available. Please come back to this website as I will be monitoring this situation much more closely. If you have any comments, questions, or suggestions, about the Equifax Cyber Security Breach, I would be very pleased to hear from you.